The other day I was sitting in the sun as I waited for my train, wearing a fluffy sweater listening to Wheetus’s Teenage Dirtbag, the people near me discussing Pokémon and it occurred to me that this scene could have easily been from the year 2000 (aside from the smartphones). And then it made me feel a little old that things that we trendy when I was alive have already circled back. Pokémon is one of those things from my childhood that has made a big comeback with the release of the app. 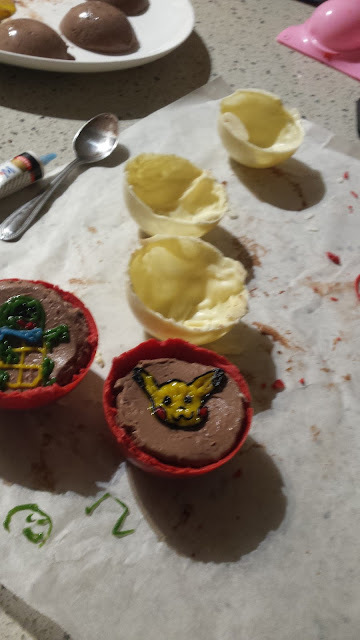 I haven’t given in and downloaded yet and don’t know too much about it, but two of my other friends who were much bigger Pokémon fans in their youth were all over it so when I knew they were coming over to get our Masterchef on and experiment with my new silicone moulds I suggested we get in the spirit and make Pokeballs. It was pretty fun, we played the Pokémon theme to get in the spirit and were pretty impressed with the end result. And it actually wasn’t that hard to make so would be a fun project to do with Pokémon obsessed kids. I chose to fill it up with panna cotta because it was Masterchef inspired cook and they always make panna cotta but you can really fill it whatever you want, chocolate mousse or even just loose candy. For this recipe you will need semi-sphere silicone moulds, I got mine for about $5 on eBay. 8. De-mould the white semi spheres. 10. 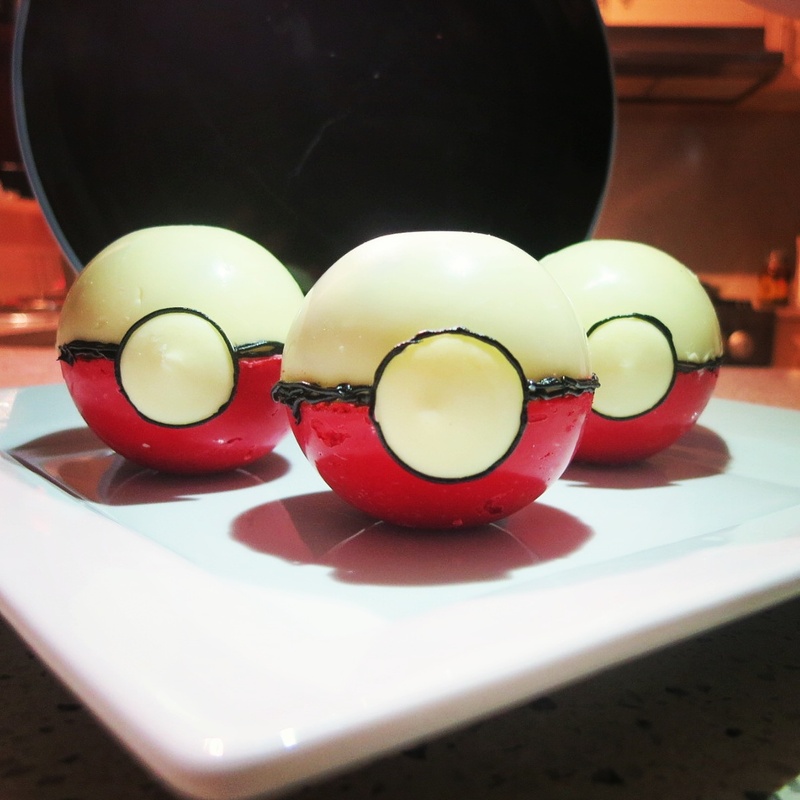 Optional: Using the writing icing you can draw Pokemon onto the panna cotta. This was just out of fun and not needed. 11. Using a blow torch, heat a wide knife (can also run over the stove) and then run the edges of the red semi sphere and once slightly melted, stick to a filled white semi sphere two halves together. Repeat with the remaining semi spheres.